Additives, the building blocks responsible for plastic materials versatility, have been receiving both good and bad reviews. Nonetheless, the billion-dollar market remains strong and is rising, says Angelica Buan in this report. Plastic materials today will not have been as versatile and diverse in applications as if not for additives. Why plastics are in use in practically every industry sector is because of additives’ ability to transform basic polymers to safer, cleaner, tougher and more colourful materials. The additives that are commonly used today are classified as reinforcing fibres, fillers, and coupling agents; plasticisers; colourants; stabilisers (halogen stabilisers, antioxidants, ultraviolet absorbers, and biological preservatives); processing aids (lubricants and flow controls); flame retardants, peroxides; and antistatics. Toxicity and safe handling of additives during manufacturing and processing of plastic products are the basis for regulations, to ensure that the usefulness will not outweigh the potential risks they could pose to the environment and human health. Leaching of these substances from plastics into the environment or food on contact, when used in packaging, is a major harbinger for safety standards. Concern on the counter benefit of antimicrobial additives to inhibit bacterial colonisation versus the potential of leaching is also being raised, amidst cases of illnesses that are resistant to antibiotics. But that is being addressed with new developments for non-leaching antimicrobials. A 2016 antimicrobial materials study published in the Macromolecular Bioscience journal presented the direct comparison of antimicrobial efficiency between leaching and non-leaching antimicrobial polymers on a highly relevant implant of central venous catheters (CVCs) using a well-established test called Certika. The study, conducted by German experts led by Joerg Bruenke of QualityLabs , is significant, especially since the use of antimicrobial devices is increasing across medical and healthcare applications. What the study finds is that newly developed non-leaching antimicrobial CVCs are equivalent to conventional leaching CVC systems in their antimicrobial performance. However, the use of new non-leaching antimicrobial polymers represents a different mode of action, which is the aim to prevent infections also with antibiotic-resistant strains and reduced side effects, the team said. Flame retardants (FRs), another additive category, have been the subject of many health risk studies, such as a University of Cincinnati College of Medicine expert-led study in 2013 linking exposure to a halogenated FR class called polybrominated diphenyl ethers (PBDEs) with behaviour and cognitive difficulties during early childhood and even the development of cancer. Hence, halogen-free FRs are being introduced, such as ones using phosphorus, inorganic substances and nitrogen. And the utilisation rate for halogenfree FRs is growing because of their cost efficiency, environmental compatibility and flame-proofing reliability in the final application. 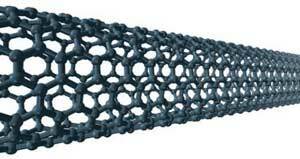 FRs that utilise carbon nanotubes (CNTs) are the focus of recent breakthroughs. Scientists at the National Institute of Standards and Technology (NIST) have developed a CNT coating for foam used in upholstered furniture, reducing flammability of the foam by 35%. The CNT coating is fabricated by inserting nanotubes between two commonly-used polymers. Four of these tri-layers are then stacked on top of each other, creating a “clubhouse sandwich-like” structure. The result is a flame-inhibiting plastic-like coating that is thinner than one-hundredth the diameter of human hair. Along the same vein, the EU-funded DEROCA project, or the development of safe and eco-friendly FR materials based on CNTs for commodity polymers, has presented multiwall CNT as an effective synergist with other common FR additives to produce halogenfree products. The FRs produced are suitable for wires & cables, insulation foams, HVAC, corrugated pipes and consumer goods. Last but not the least is Bisphenol A (BPA), which has in many studies earned its infamy for being linked to a host of health risks including brain and behavioural debilitation in children, disruption of the hormone system, and high blood pressure, to cite a few. On the other hand, scientific literature is available that says BPA is not as harmless as how it is conjured up. Since the 1960s, BPA has been used in many consumer items and in plastic products. Yet, consumer exposure to BPA has been found to be way below the safe intake limits, as cited in recent biomonitoring studies in the US and Canada. The US Centres for Disease Control and Prevention (CDC) has undertaken large-scale biomonitoring studies on BPA, as well as other chemicals, as part of its National Health and Nutrition Examination Survey (NHANES). It evaluated BPA exposure across the sixyear old and above population group, nixing risk of exposure. Similarly, the Canadian government’s biomonitoring data on BPA exposure in pregnant women ruled that this group is not at risk from real-life exposure to BPA. However, following the stead for safety, additives producers are now offering new ranges that satisfy regulatory requirements. US-headquartered Addivant , a global leader in polymer additive technologies, that offers nonylphenol-free plastic antioxidant Weston 705, recently received a formal opinion from the European Food Standards Agency (EFSA) that expands the applicability of the antioxidant to an even broader range of food contact applications. The company said that the formal opinion from EFSA has been included in the draft sixth amendment to the EU plastics legislation (EU 10/2011) and is derived from the extensive additional testing that Addivant has performed on Weston 705 and the associated hydrolysis products. EFSA increases the specific migration limit of its hydrolysis product by a factor of 20 to 1mg/kg, making Weston 705 suitable for most sensitive food-contact applications. Even as the debate on additives safety rages on, and being an indispensable component in making plastics, demand for additives is continuing to shoot up. 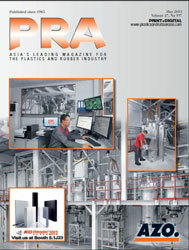 Increasing application for plastics supports its billion dollar global market growth. BCC Research , in a latest report, estimated that from the US$48.2 billion market value for additives in 2015, it grew to nearly US$51 billion and may reach almost US$65 billion by 2021 to a CAGR of 5% for the period of 2016-2021. 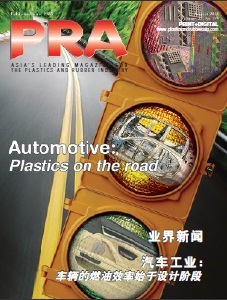 The market success of polymers, such as polyvinylchloride (PVC) or polypropylene (PP) is also attributed to additives, said BCC Research. Grand View Research in its Plastic Additives Forecast to 2022 reports that Asia Pacific was the largest consumer for additives, driving a CAGR of 4.5% from 2015 to 2022. Rising industrial output and economic growth in India, Indonesia, Malaysia and China is projected to propel regional demand over the forecast period. 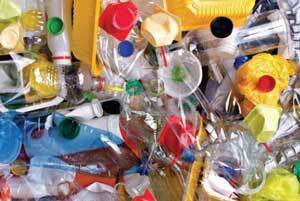 Other developed nations such as US, UK, Germany, and France are also expected to generate high demand for plasticisers, UV stabilisers, flame retardants and other additives, the report said. Though they may be building blocks to making plastics, but additives may be harmful to the environment, according to a 2009 compilation report by some 60 scientists published in Philosophical Transactions of the Royal Society B: Biological Sciences journal, ranging from marine debris to leaching of chemicals in landfills and groundwater. Yet, additives can also offer a positive imprint for the environment. Identifying plastics for recovery during the sorting process has been a problem for recyclers using automated identification systems to identify polymer types such as the infra-red (NIR) spectroscopy in Material Recovery Facilities and Plastics Recovery Facilities. These NIR detectors are capable of accurately discriminating between items made from different polymers such as PET, PP, PVC and PS. 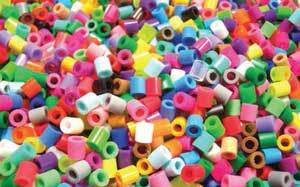 This sorting of polymers is essential to ensure that the resultant recycled material is commercially attractive to processors. However, a large amount of these potentially recyclable items cannot be identified by the NIR systems as they contain colour pigments that are very good infra-red absorbers and are therefore undetectable. Thus, patent-pending Irdent is a collection of detectable pigments from UK-based Colour Tone Masterbatch . Tested by UK organisation Waste & Resources Action Programme or WRAP , it offers a solution of being detectable in the waste sorting process and can help recover plastics including rigid black plastic packaging, plastic components in end of life vehicles and WEEE waste. Colour Tone adds that since recyclers are already using the technology that separates the different plastic waste streams and colours, therefore further investment would not be required. Irdent is suitable for packaging, automotive and electrical product applications. Joining the bandwagon for recyclable materials may regain confidence for halogen-free FRs. A threeyear research study is being undertaken by the German Fraunhofer Institute for Structural Durability and System Reliability LBF , with support from the German Federation of Industrial Research Associations (AiF) and with the participation of member companies of Phosphorus, Inorganic & Nitrogen Flame Retardants Association (PINFA) . The new research project on the recycling of FRs is in line with EU regulations to increase plastic waste recycling in quality, and recycling rates to rise to the 70% EU target set for 2020. The research concerns mainly the electrical and electronics industry, construction and transportation sectors. Fraunhofer LBF says companies can be better able to use their own product waste in the case of flameretardant formulations and to save costs. It also says the findings will lead to enhanced quality products with high safety standards, potential hazards of degradation products will be identified and can be eliminated. Recycling additives play an important part in quality improvement in the mechanical recycling of plastics. With the addition of customised stabilisers, compatibilisers and reactive additives, recycled materials achieve qualities that can compete with those of new material. The number of recyclate additives has increased considerably in recent years. The difficulty arising from this for producers is how to develop the best solution technically and economically for the desired property profile. Thus, Fraunhofer LBF says it is continuously extending its knowledge of recyclates. All in all, the end purpose of using additives is to reduce costs. Therefore, Fraunhofer also says that with the mechanical recovery of recycled halogenfree plastics, use of raw materials is expected to be reduced, and ergo will also contribute to conserving and using resources more efficiently. 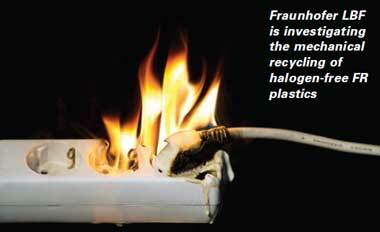 With a market volume in Europe of EUR3 billion for halogen-free flame-retardant plastics, Fraunhofer LBF estimates the potential cost saving due to using production waste at EUR150 million a year. The potential value for used plastics is significantly higher. Meanwhile, US-based liquid colourants and additives manufacturer Riverdale Global has launched a new family of liquid nucleating and clarifying agents for PP and HDPE that aims to reduce moulding costs for processors. The +Speed additives offer the ability to reduce cycle times, says the company. These grades include, NUC-138 nucleating agent for PP, which is said to induce a higher crystallisation temperature in the resin. This enables the molten polymer to harden at a higher temperature which, in turn, decreases the needed cooling time and shortens moulding cycles, the company said. The NUC-139 nucleating agent and acid neutraliser reduces moulding cycles for HDPE by adjusting the orientation of the polymer crystals to optimise shrinkage properties and avoid the long mould residence time needed to withstand the internal stresses that cause part deformation. Thus, against the back of reduction of costs for processors, the additive sector is also faced with tightening of regulations on migration limits on all components of packaging, and in food contact applications. Hence, companies are innovating to stay ahead of the industry. As well, the zero plastics-tolandfill directive is the basis of research on halogenfree FRs, to further build up the prospects of FR use.